Carly Elisabeth Simon was born on January 25, 1945, to Richard and Andrea Simon in New York City. Her father Richard L. Simon was a classical pianist and publisher of German-Jewish descent while her mom was a singer and civil rights activist. Carly Simon was raised in the Bronx, New York and has two sisters, Lucy and Joanna and a brother Peter. She was a student at Riverdale Country School. She also attended Sarah Lawrence College but dropped out to pursue a career in music. Simon and her sister Lucy formed the music group the Simon Sisters and released their debut album Meet The Simon Sisters in 1964. This was followed by their second album Cuddlebug in 1965. Their third album The Simon Sisters Sing the Lobster Quadrille and Other Songs for Children came in 1969. After Lucy went on to get married and raise a family, Simon signed with Elektra Records as a solo artist and released her eponymous album Carly Simon in 1971. The hit single from the Carly Simon album That’s the Way I’ve Always Heard It Should Be peaked at number 10 on the Billboard charts. Her second solo album was Anticipation and had a lead single by the same name. Carly Simon’s career took flight in the early 1970s when her single You’re So Vain sold over a million copies and hit number 1 on the U.S. Pop and Adult Contemporary charts. She gained further acclaim with her hit single Nobody Does It Better, (which was a theme song for the James Bond film The Spy Who Loved Me) in 1977 went gold. Simon has written music for several films and contributed to several television and film scores over the years, these include Someone Waits For You for the 1984 film Swing Shift, Two Looking at One for Karate Kid (1986), Let the River Run for Working Girl (1988), Love of My Life for This is my Life (1992), and Take Me Out to the Ball Game for Baseball (1994). She has made a few film and television appearances including Taking Off (1971) and on an episode of Thirtysomething. Simon published a memoir about her early years up to age thirty-five in 2015. The book was titled – Boys in the Trees: A Memoir. Here are a few facts about her. 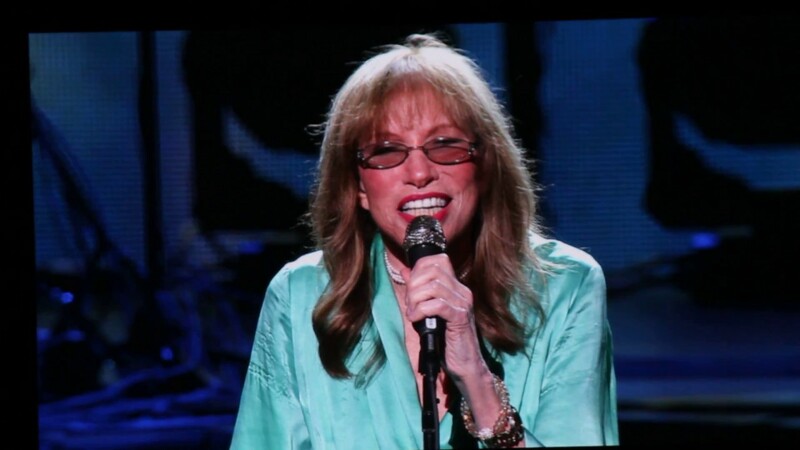 Carly Simon has had a very illustrious career and has a total of 39 top class albums to her credit. Asides her passion for music, Carly has featured in several films and televisions shows. Over a career in entertainment spanning over five decades, she has succeeded in amassing a net worth of $65 million. Simon has been married and divorced twice. Her first marriage was to singer and songwriter James Taylor in 1972 with whom she had two children, Benjamin Simon Taylor, and Sarah Maria Taylor. She and Taylor divorced in 1983. Carly remarried in 1987 to writer and businessman James Hart. The coupled stayed married till 2007 when they divorced. Simon has been a winner of two Grammy Awards and has thirteen nominations. Her first Grammy win was in 1972 for the best new artist category, it was the same year she earned her first nomination for best female pop vocal performance for her hit That’s The Way I’ve Always Heard It Should Be. Her second Grammy win came in 1990 for Let the River Run which won the Best Song Written Specifically for a Motion Picture or Television category. The same song also earned her a Golden Globe Awards win as well as an Academy Award. This made her the first performer to earn a Golden Globe, Grammy and Academy Award for one song performed and written by a single artist. Her songs “Working Girl” and “Postcards from the Edge” where nominated for Best Film Music by the British Academy of Film and Television Arts in 1990 and 1991 respectively. In 1995 she was honored with a Lifetime Achievement Award by the Boston Music Awards. She got a Boston Music Awards Song of the Year nomination for “Our Affair” and won the award for the same song in the Female Vocalist of the Year category in 2002. Simon won a cable ace Award for “Touched by the Sun” in the category Original Song in 1995. She has two other cableAce Award nominations. In 1997 and 1998, Carly went under the knife, undergoing mastectomy and chemotherapy for breast cancer. She had been aware of a lump in her breast but her doctors initially advised against a surgery but later gave in when diagnosis revealed the situation was deteriorating. Her battle with cancer was soon after she had lost her friend Linda McCartney to breast cancer. Carly Simon’s height is 1.79 m (5 ft 10 in). She weighs 128 pounds (58 kg). She also wore shoes of US size 10, or 41 (EU) or 9, 5 (UK). Her vital statistics are 34-27-32 (chest-waist-hip). She wears a 34B in bra size.